Carpe Memoria: Cinema Blog Hop! 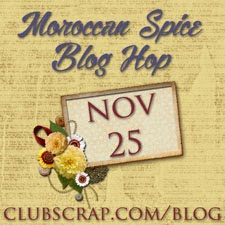 Welcome to my stop on Club Scrap's Cinema blog hop! If you got here from Tiare's blog, you are right on track. If you stumbled across my blog and want to go back to the beginning and/or see the listing of blogs in this hop, head over to Club Scrap Creates. This month we are featuring projects made with the classy and "full of memories" Cinema collection. How many of us remember "The End" (or "That's All Folks!") at the end of cartoons and movies or remember what "filmstrips" looked like? I love big and little screen creations, so this kit is one of my favorites!! The memories I have from just looking at the prints in this picture make me smile. Creativity has been hard to find lately. You know, when you have a lot on your mind it's hard to relax and let creative juices flow. In the meantime, my papercrafting supplies are sitting in the studio wondering when I'm going to break out of this rut and play!!! I missed the hop last month because of this crazy rut I'm in. I mean, for me to miss an opportunity to play with a floral kit--now THAT'S crazy!! I was not going to let it happen this month, though, and here we are on the day before the blog hop. Nothing like a deadline to force the creativity to flow. I've mentioned before that I receive a set of dies each month from Paper Wishes. This month's die set is a Christmas theme, and I was excited to see how I could use these dies with Cinema cards. This card is the largest in the GTG pack. It's essentially three panels with the largest one (Aqua) folded over onto the others and then secured with brads. I die cut three wreathes and two bows for this one. The wreath looks great cut from Wine cardstock. I added glitter glue on the berries and popped the bows with a little foam tape. This card is smaller and perfect for OWH. The light colored panel looks almost white in the picture, but it's really Cinema's Aqua cardstock. 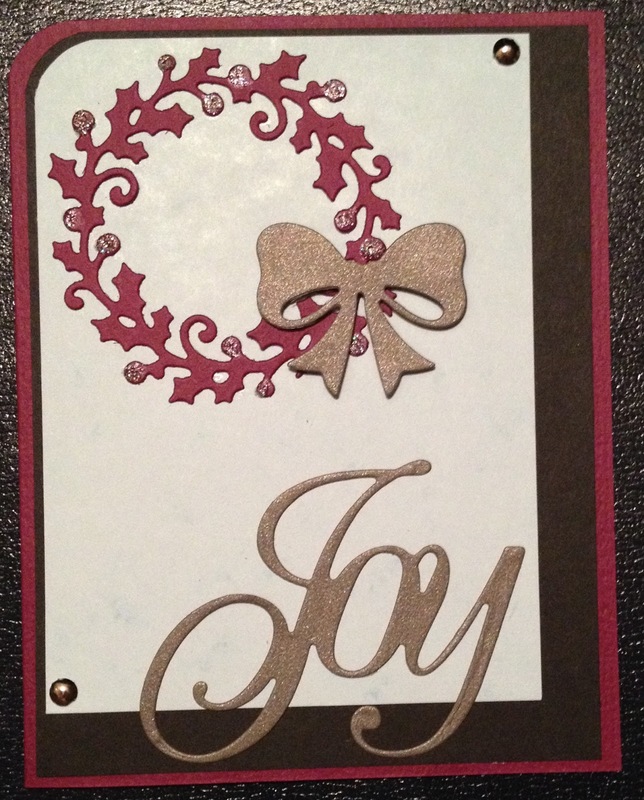 I repeated the wreath, bow, and glitter glue on this one and offset the panels. Well, th-th-that's all folks! I hope you enjoyed my little stop on the Cinema blog hop. Your next stop is Marya's blog. I can't wait to see what she's created this month! Lovely as always and you always come up with great ideas at the last moment. It's good to see you back hopping with us and enjoying a little creative inspiration. Terrific cards! Glad to see you got your mojo going! Both cards are fabulous. Have a great day Lisa! I just hate it when real life gets in the way of crafting! I'm glad you were able to join this month and show off these cards! I really like the simple offset of the punched circles in your first card, Lisa, and your Christmas cards will be perfect later this year. Thanks for sharing! 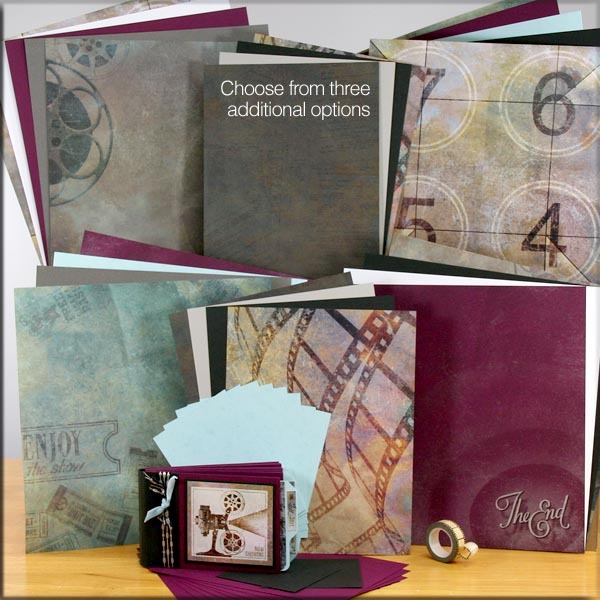 Lisa, so glad you were able to take a little time, take advantage of those creative juices flowing and share your great cards with us! Lisa, the holiday cards are so beautiful.. way to think outside the Cinema theme. Great cards and I wasn't even thinking of Christmas cards yet,but yours are beautiful! Thanks for sharing your cards and how nice to start on Christmas cards already! Fun cards . . . I hope your mojo continues to return to you! Great using all your new goodies!